That is right, I am officially 26-years-old and Peanut is 25 weeks along in the womb! 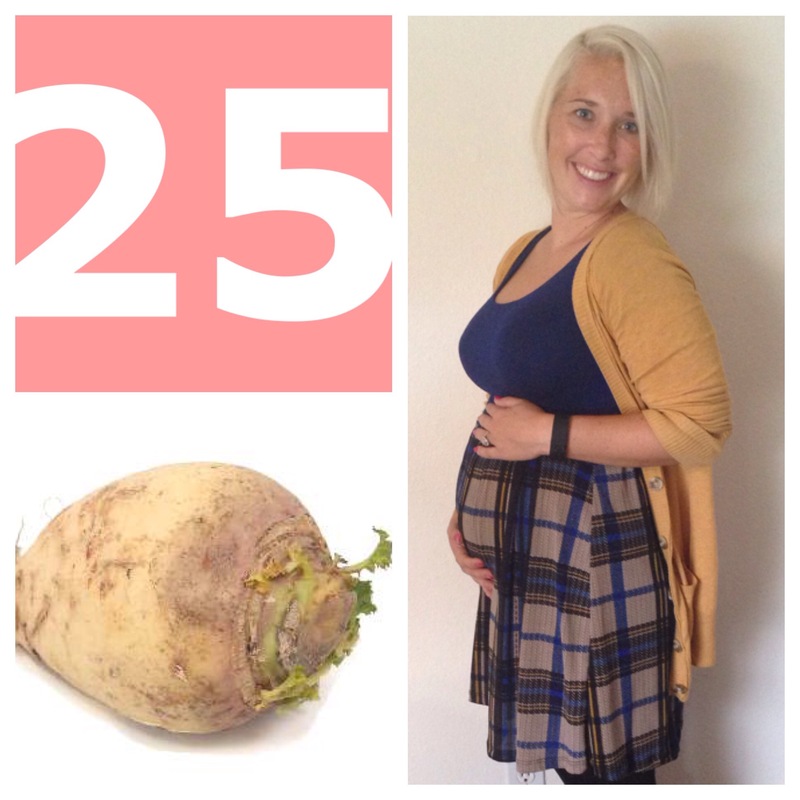 This week my little lady is the size of a Rutabaga. Kind of a strange comparison… Anyways, this means baby is around 9 inches long and weighing around 1.7 pounds. Not much new has happened in the past couple of weeks. Baby still kicks and moves A LOT! I can even see some of her movements now, which is a bit creepy, but awesome! She seems to kick most whenever mummy eats spicy foods or drinks sweet tea. She also loves when I sing to her. Normally, I stick with Disney songs since they sound nice. Although, no matter the tune I am singing too, someone starts to move around and dance. Since it is my birthday weekend I am going to change-up my post a little bit. I am going to list 8 (26: 2+6=8…my brain) things I am thankful for/am wishing for as I turn another year older and my little baby gets another day closer to her arrival. #1: I am thankful for a loving husband who is going to make an amazing father to our little peanut. He has been working extraordinarily hard the last couple months to change jobs so we can be a bit more stable when Peanut arrives. I am so proud to call him my hubby. #2: Along the same line, I am happy to have had a pretty easy pregnancy and a healthy baby so far! My little girl is looking great and developing properly. I pray the last couple months she stays healthy and grows big and strong for her arrival into this world. I love her so much already…and I haven’t even officially met her. Parenthood is magical, isn’t it? #4: I wish and hope I can be as good and loving of a mom to my little girl as my mom was to me. She is one of the strongest women I know and will do anything for her kids. II am so thankful to have her around and know she will be a great Gami to my little Peanut. #5: I am wishing to have an easy, stress-free school year this year. I am hoping for my students to stay darlings and not become too horrible as the year progresses. #6: On that same note, I am wishing/praying I find an amazing long-term sub to take over for me second quarter this year once Peanut is born. #7:I am thankful that on this birthday I am able to spend time with my brother and his two babies as they are down visiting for a few days! I have never met my nephew, so I am excited to get to know him and of course catch up with my niece and brother. 25 weeks down, 15 weeks to go!